Children’s Rock Concert with The Pinkletinks! 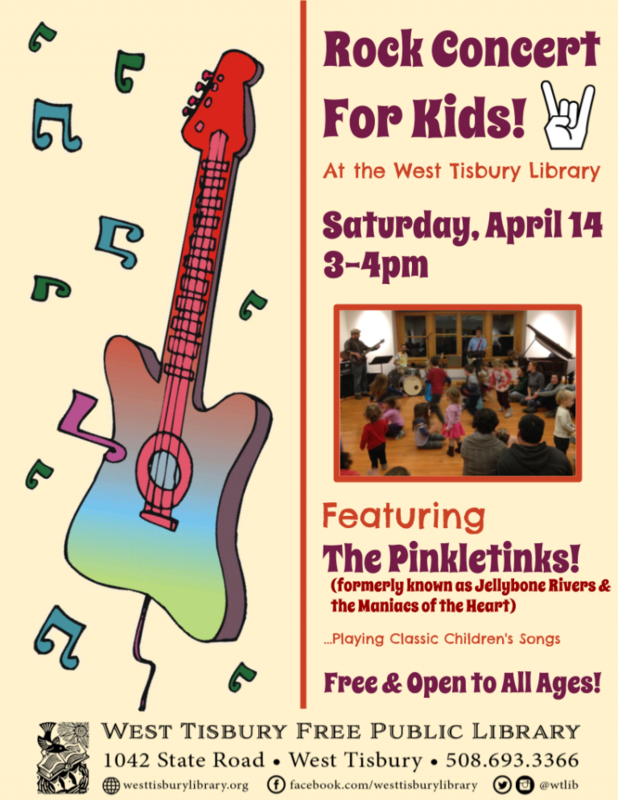 Saturday, April 14 from 3:00-4:00 pm, the West Tisbury Library will host a rock concert for kids featuring The Pinkletinks (formerly known as Jellybone Rivers and the Maniacs of the Heart). The musicians will be performing a set of classic children’s songs in a rock-band format, at a volume appropriate for children’s ears. This event is presented by Rob Myers.